Sweet Almond Carrier oil in 50ml Bottle. Balances the moisture in the body. Helps restore lost moisture and is a great lubricant, thus aids in combating itching and inflammation. It is an excellent natural moisturizer that is suitable for all skin types. Almond oil is wonderful for conditioning the skin and reviving its natural glow. It is also known to improve the complexion and give a younger look to skin. As well as nourishing the skin, Sweet Almond oil application provides an instant relief in case of muscle pain. It has a high concentration of oleic and linoleic essential fatty acids. 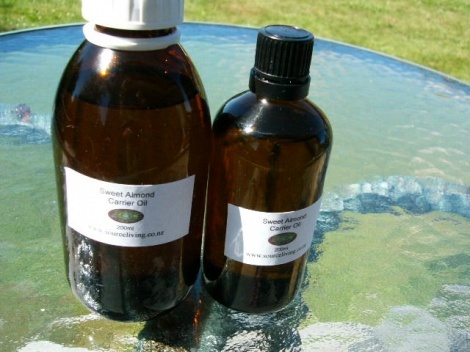 A popular massage oil, it is also a common ingredient in natural skin care..